The best articles I have ever written have come out after being inspired by an event or a person. It gives you a rare insight into certain facets of life, which otherwise may not have been looked into. Inspiration drives out the best. At times, when my ideas have died down and vanished, I will strive to get inspired to get a rush of ideas. Though, there’s nothing artificial about it, it surely opens up plethora of options to write on. Inspiration has the power to produce wondrous feelings. When you feel inspired you feel virtuous, you want to talk about it, you want to share what you just got. That is where ideas are born. To illustrate this point, there’s nothing better than the real life story of how Isaac Newton was inspired, and eventually founded the law of gravity after watching an apple fell from a tree. It doesn’t remain just an idea, but it becomes a platform for discussion. You poke your nose into things with a different mindset. And that’s one reason it makes sure the writing has the ingenuity. You don’t have to research to write on something once you feel inspired because you are not trying to acquire ideas. You are telling a beautiful secret, which you have just discovered. The word inspiration itself means ‘motivation’. But functionally both words behave differently. 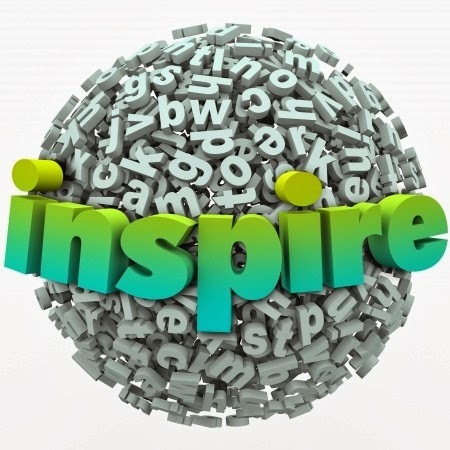 When you feel inspired, you get motivated to do something, or even think differently. Inspiration has the power to change our thoughts. As a writer, just imagine things you can write about with your new found motivation. You may feel inspired plenty of times, and each time, it brings about a different level of motivation. Every writer faces situations in life, when he drags on and writes because he has to. Those are times when you fumble with words, and find it hard to grapple. It doesn’t get easy to find the perfect set of vocabularies to form a sentence. However, there are also times when you get motivated because someone has render inspirational speeches, and the air around you has suddenly filled you with new born thoughts. That’s where it becomes easier to hold the pen and write what your heart speaks out. Eva Peron is still an extremely popular figure, and every Argentinean would be proud of. She is said to have had rural roots, but after her marriage to Juan Peron, she was instrumental in bringing about a change in Argentina. Her speeches from the public dais were so inspirational that people used to throng the rallies. She is said to have been the woman behind Juan Peron’s political success. Even after her early death, Eva has inspired a generation of writers to write books on her. When we get inspired, we get into a different zone. The new inspired passion and the knowledge gained in the process drive us to foray into a new world and that could be significantly enhancing our capabilities to write something unique. Writing is never easy. You don’t find writers in every nook and corner of your country. They are the rare breeds who know how to use inspiration to unlock rare treasures of knowledge hidden beneath every inspirational story. The more you draw out of inspiration, the more you give away. On one hand, where inspiration urges us to a new direction, on the other hand, it is also noteworthy that we allow ourselves to squeeze the best lesson we can learn. Trying to prove someone wrong can be an inspiration in itself. Take the example of Amy Tan, who was an ordinary technical writer, but her sacking or perhaps, her disagreement with her boss finally pushed her to become a better writer, and she went on to become the author of the best seller, The Joy Luck Club. Our experiences of the past do play a role in how we visualize things. The better we envision, the better we tend to understand and sort out the matter. From what I have observed, I found out that there are times when I drew inspiration from a televised speech, or an event, or perhaps after meeting with a person, but the same event may not inspire someone else, who also attended the same event or met the same man. The reasons could be any. It was probably, the chemistry I struck with the event or the person, eventually inspired me. The chemistry was the result of my experiences, and that enabled me to draw out the inspiration. And one person felt the same that I have been talking about. Psychologist Dr. Wayne Dyer, the author of a number of empowerment books, changed his approach after he realized that negativity has no place in his life. He was inspired as a result of his realization, and used his recent struggles and experiences to write a book on “the power of intention to make life better”. However, inspiration also helps us to use our experiences to explain a concept in a much better way. We may have experiences that we have never used in our writings. Inspiration sometimes takes us back to recollect our experiences and use it in a better way. The best reasons why many became writers is because they want to share why their life changed after being inspired. In fact, a person from any walk of life gets passionate after being inspired. He may not necessarily be a writer, he might be an artist, and inspiration can carry him to create a top notch painting. It was exactly MF Hussein, the celebrated painter did, after he got inspired by actress Madhuri Dixit, and carved out a series of paintings. There are also times, when we decide to touch something out of inspiration, which we probably never did. I remember the Wimbledon 85 final vividly. I still look back with admiration for the man who pulled off a stunning victory over Kevin Curran. Boris Becker was truly inspirational that day, and I think, it was not just me, but many younger ones who must have been inspired by his display. I took to tennis, though, I never played that game before as I was filled with a newly found passion for the game. The reason was Becker. And that’s what an ignited passion can do for you. Inspiration not just brings about ideas, or ignites passion, but sometimes it becomes a reason why we live. It sometimes raises the bar on how we perform in life. There are countless stories, on how survival fights by cancer patients had inspired other such patients to pull up their socks, and give a fight. We all need inspiration to reshape our aims in life, and make life better.